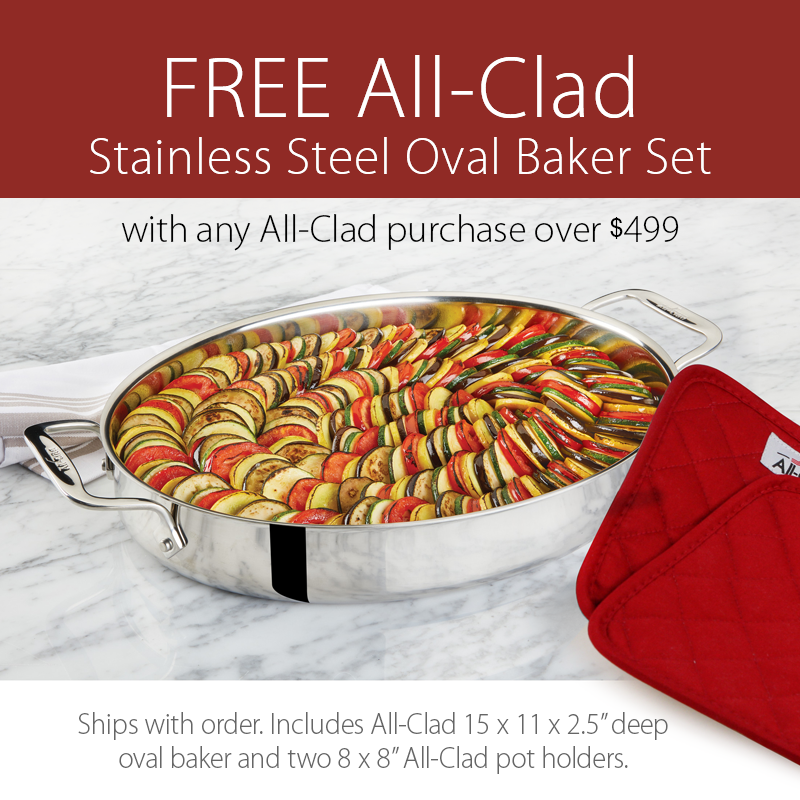 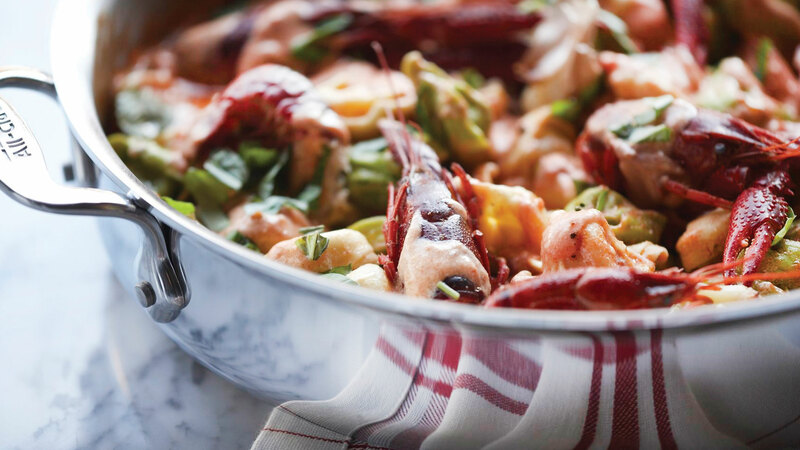 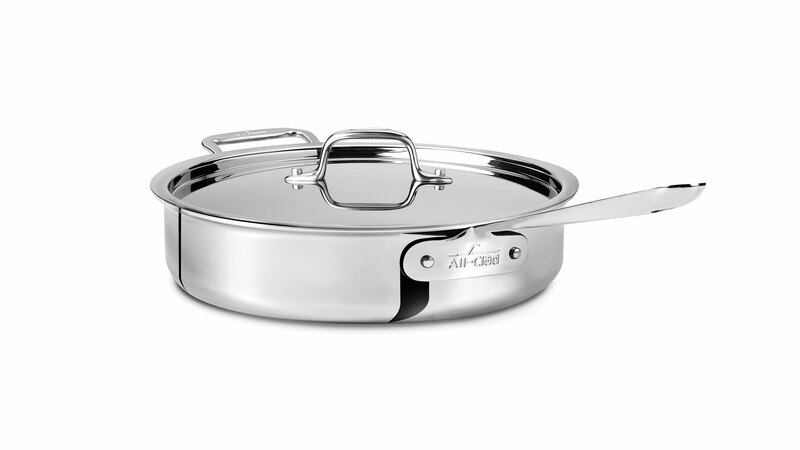 Deeper than a traditional fry pan, the All-Clad Stainless 3-quart Saute Pan features a large surface area and tall, straight sides that hold in juices, prevent splattering and allow for easy turning with a spatula. 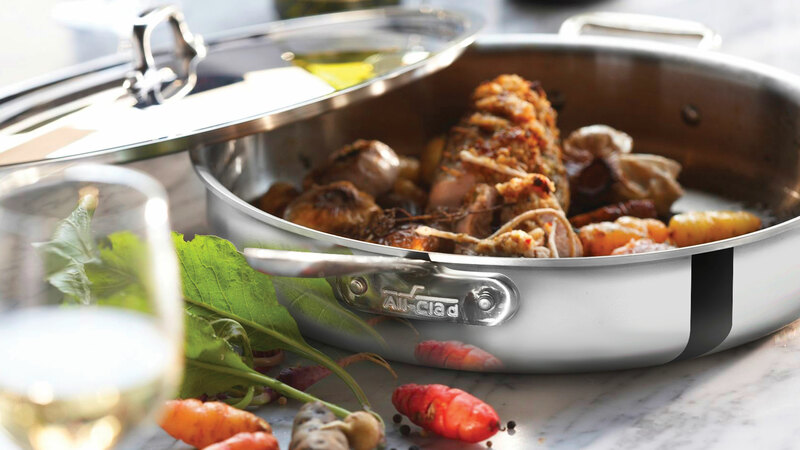 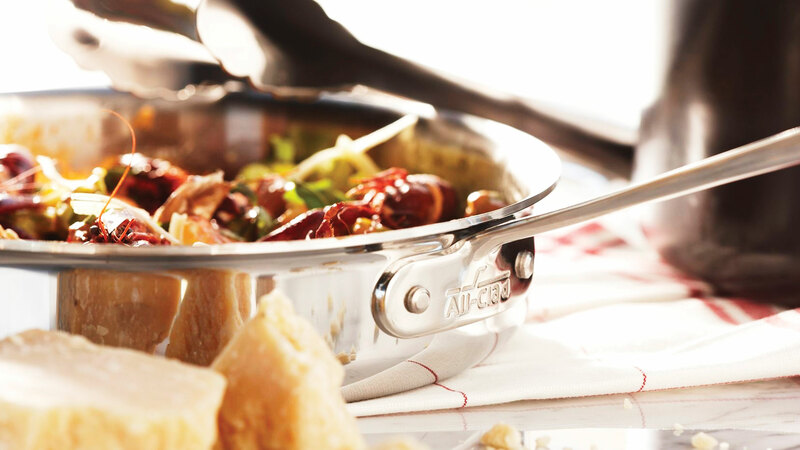 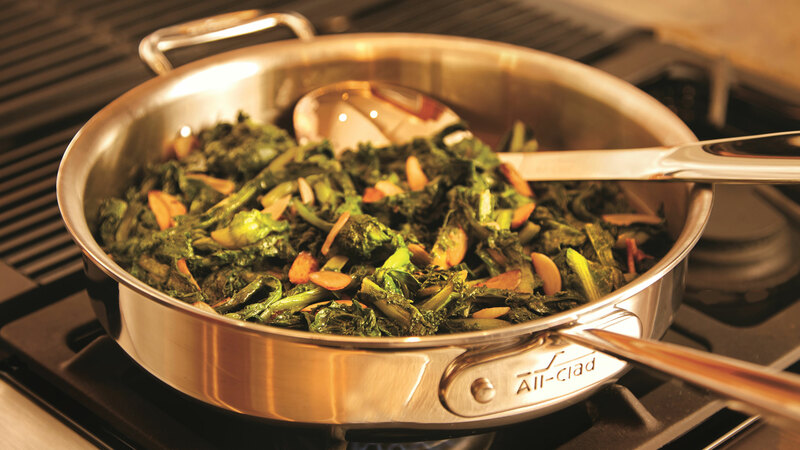 Ideal for a wide range of foods, this saute pan is exceptionally convenient, offering the capability to brown or sear then deglaze or finish in liquid, all in one pan. 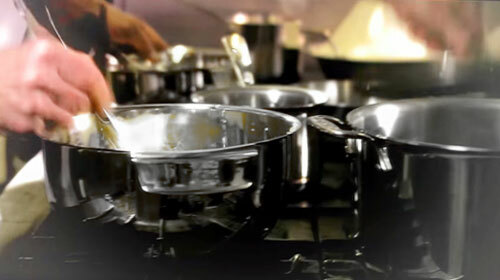 The lid can be used to lock in moisture and heat after browning or searing to cook meats thoroughly on the stove top or oven. 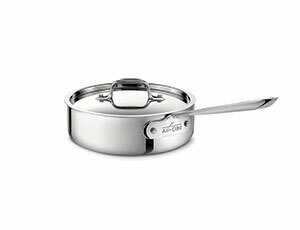 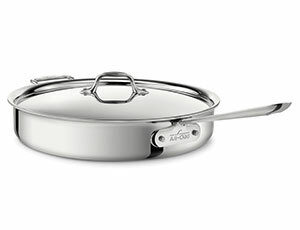 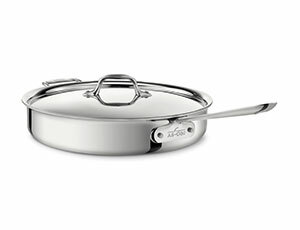 https://www.cutleryandmore.com/all-clad-stainless/saute-pan-p121264 21264 All-Clad Stainless Saute Pans https://cdn.cutleryandmore.com/products/large/21264.jpg 244.9500 USD InStock /Cookware/Saute Pans Deeper than a traditional fry pan, the All-Clad Stainless 3-quart Saute Pan features a large surface area and tall, straight sides that hold in juices, prevent splattering and allow for easy turning with a spatula. 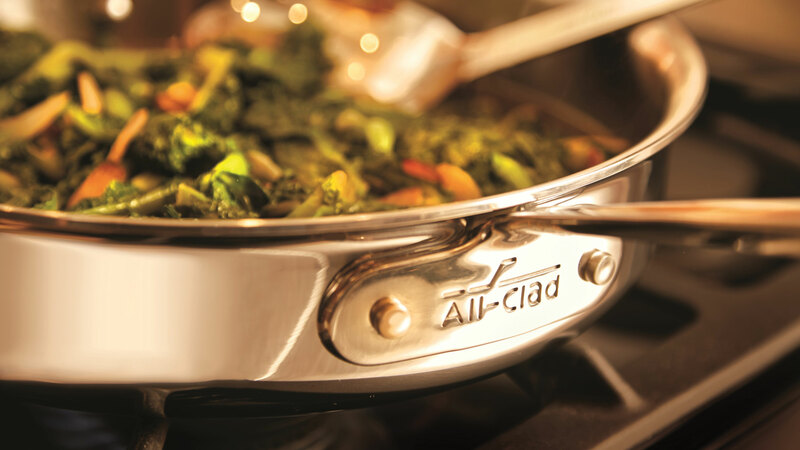 Ideal for a wide range of foods, this saute pan is exceptionally convenient, offering the capability to brown or sear then deglaze or finish in liquid, all in one pan. 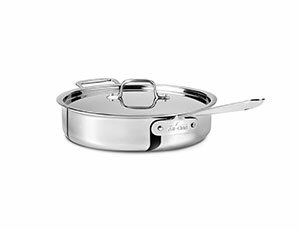 The lid can be used to lock in moisture and heat after browning or searing to cook meats thoroughly on the stove top or oven.